Scottsville School was originally built in 1876, and was moved to a brick building, later called the Council building, on the corner of Main Street and Route 20. 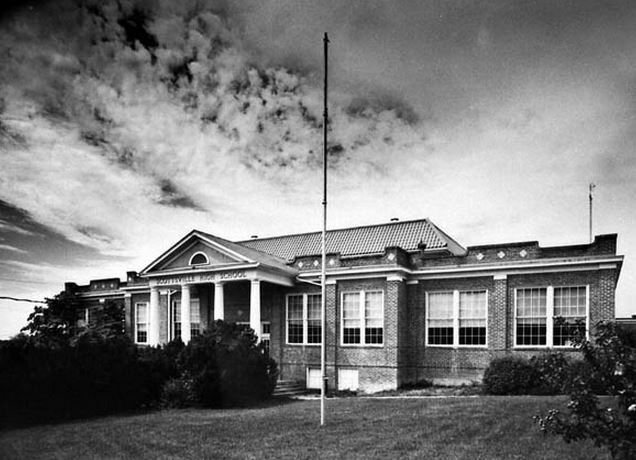 In 1906. a new school was built on Schoolhouse Hill overlooking the Horseshoe bend of the James River and began as a large gray building with bell tower. 1925: A new brick building constructed at the corner of Page and Main opened with a kitchen, stage and library; primary classes were taught at a cottage on Byrd Street.